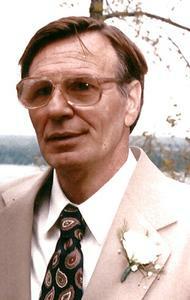 Richard Kelp, Sr., 81, passed away peacefully at his home surrounded by his loving family. Beloved husband of Helen for 60 years. Cherished father of Audrey (Joe) Toor of Canton, Rick (Kim) Kelp of Plymouth and Tom (Tracie) Kelp of Plymouth. Dearest Puppa of Claire and Tommy. Preceded in death by his parents Harry and Margartt, brother Harold, and sisters Gerry, Bernice and Mary. In the early years Richard enjoyed camping and backyard get togethers with his family. He was always a car enthusiast and especially loved classic cars. He was an early riser and enjoyed drinking coffee either at the kitchen table or outside on his patio with his dog when the weather allowed. He loved animals and enjoyed watching the well fed squirrels playing in the yard. Richard enjoyed playing cards and joking around. After retiring from General Motors, Richard had fun golfing and playing putt-putt with his family. He was a channel surfer and enjoyed watching crime shows, game shows, and the History Channel while relaxing on the couch occasionally napping with his golden retriever Polly. A big disappointment is that he never got to see the Lions win a Superbowl. He will be greatly missed. A private service is being held.